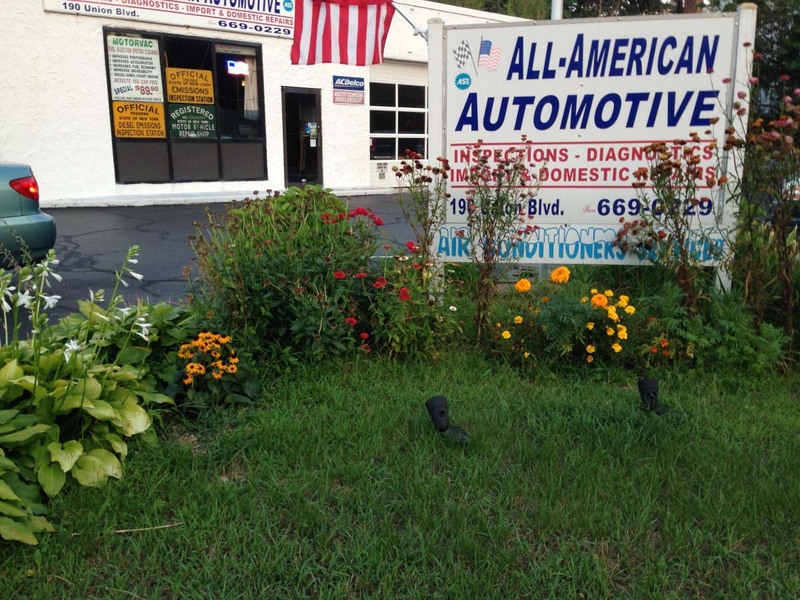 All American Auto in West Islip has beautified their front area with strawflowers and zinnias. 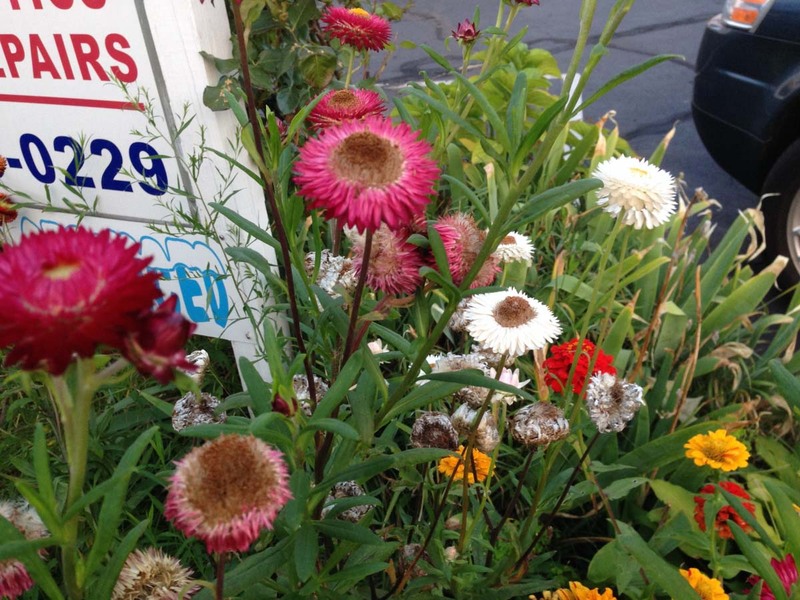 Directly under the business sign, was large pink strawflowers and bright marigolds. 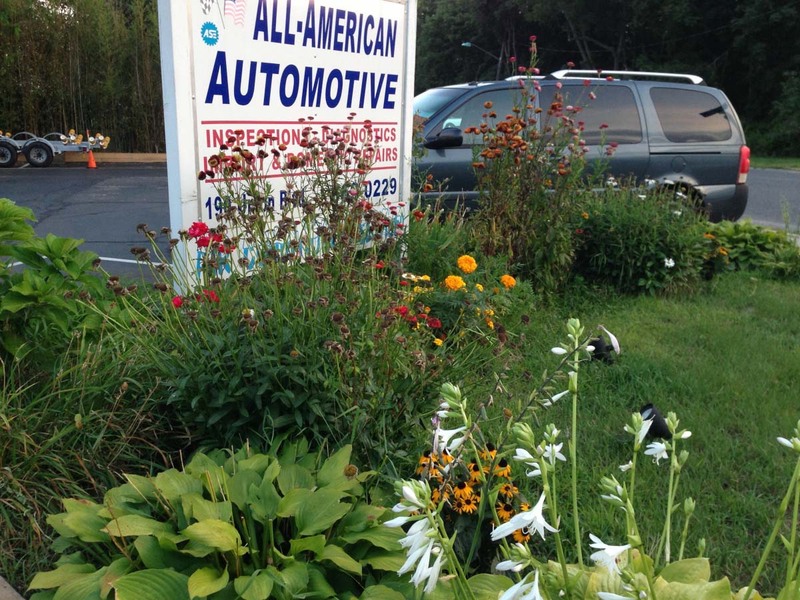 There was also large Hostas, that were in full bloom with tall purple flowers. 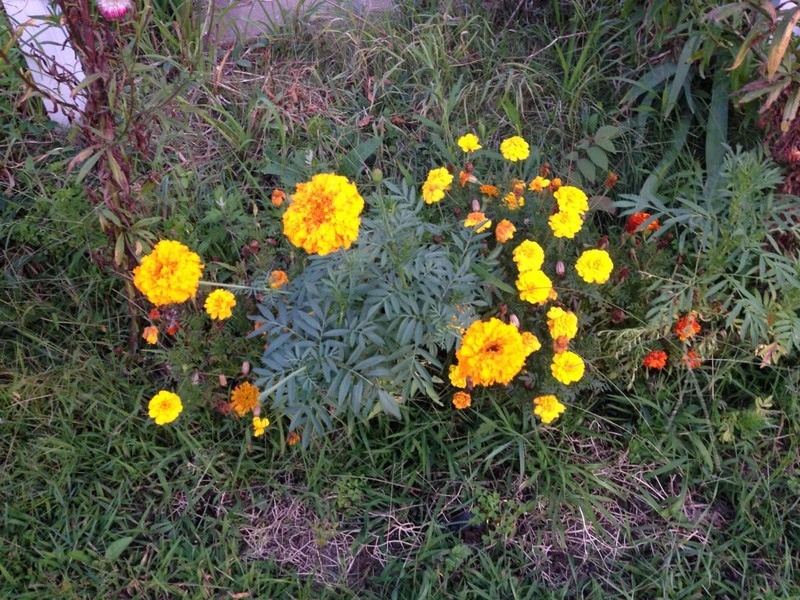 The bright flowers looked so nice against the green of the bushes and the grass. Posted in Project Bloom, Project Bloom 2014 Garden Tours and tagged All American Auto Bed, Garden Tour, Gardening, Gardens, LI, LI Gardening, Long Island, Project Bloom, VanDyke, VanDyke Gardens, VD Gardens.